SAVE MONEY! REDUCE YOUR HEATING BILL!. We have over 20 years experience. We are currently booking larger projects out 8-10 months! we apologize in advance for any inconvenience. smaller jobs and emergency work are handled on a per call basis and done first come/first serve. for all other jobs please contact us. At Kevin Sterwald Roofing, we’ve been in business since 2001 – that’s 18 years of roofing experience! 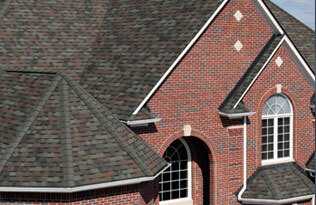 We have a team of roofing and attic specialists that have literally seen it and repaired it all. Customers call us to repair their roofing and attic issues because they know we pride ourselves in diagnosing the problem accurately and completing the job the right way. We don’t believe in quick, temporary fixes that will end up causing more issues in the long run. If it’s not done right the first time, we’ll “try, try again!” Our customers are never left with an unfinished project. We guarantee it. 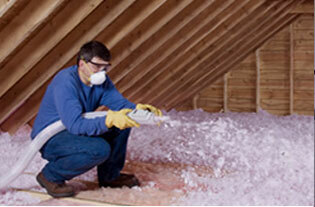 Get your attic and roof insulation done fast with our clean, non-intrusive services. Keep your home just the right temperature and save big on energy bills with our quality insulation. Keep your home warmer in the winter’s with our help! Our work is guaranteed for 10 years and extended warranties of up to 50 years are available for all Owen’s Corning shingles. You will feel confident knowing your roof can withstand strong weather patterns and years of exposure. 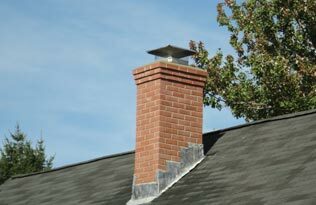 We provide a safe and efficient solution to your chimney issues. We always clean-up after ourselves after each service, so you always have a clean area. Fix up your current chimney or get a completely new one installed today. After completing a repair or complete installation, you more than likely will never have to call us again. In the rare event that we do need to come back and make a correction, we do it right then and there on the spot. All of our work is guaranteed for 10 years! We offer warranties up to 20 years. We are Insured and Licensed. We have Better Business Bureau accreditation. We have a team of roofing and attic specialists that have literally seen it and repaired it all. Our safety equipment, employee training and safety incentive programs keep our people safe and insurance costs under control savings that we pass on to you. Kevin,Thanks again for such prompt & professional service!!!
" Great Service! I recommend Kevin Sterwald Roofing! " "Kevin, Just a quick note to thank you for the recent free inspection of our home's roof. Your findings were extremely insightful, especially in the follow-up to the "storm-chasers" assessment!We will keep you at the top of our list when we are prepared to address our roofing needs Again, Thank you!